I learn fascinating things about my county that I never knew by just driving around the backroads, particularly the mountains! 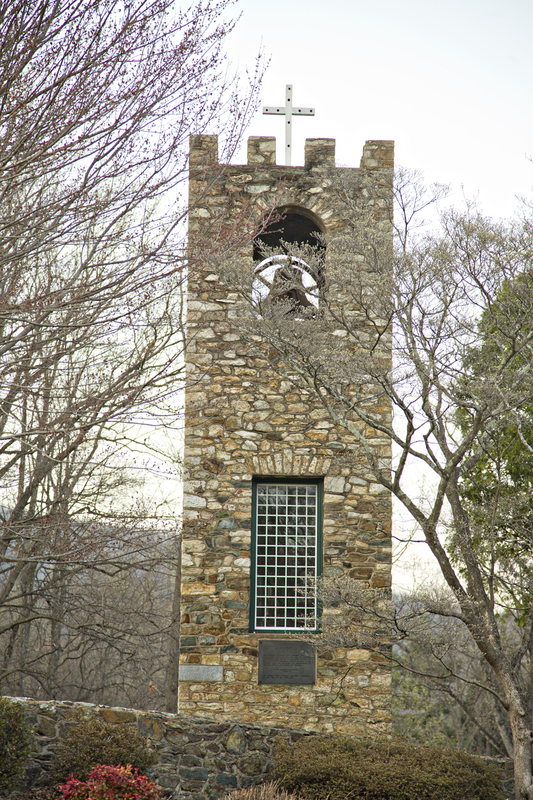 There is a mission home nearby and I ran across it when I spotted this tower while searching for photos to take for the newspaper’s yearly “Welcome” contest. This tower really piqued my interest. Apparently this is Faith Mission Home, a mission of the Mennonite Church. The sign noted that it is a residential training facility for mentally handicapped children and adults. This location was saved from being taken as park land for the Shenandoah National Forest in the 1930s by Sen. Byrd. How fascinating this location is to me. Learning its history, especially the way that the person who set this up did so for the education and betterment of “the mountain people.” The more I learn about the plight of those people during that time the deeper my sorrow for what was taken from them. That’s a story for another time I suppose. What else did I see on my ride through this section of the county? What a pretty barn to me. I love how its paint is chipping off and there are no houses around it. Who does it belong to? I have no clue. What is inside these old truck trailers? Someone suggested feed or grain for livestock. that would certainly keep them dry and it is reusing these old trailers for a new purpose. 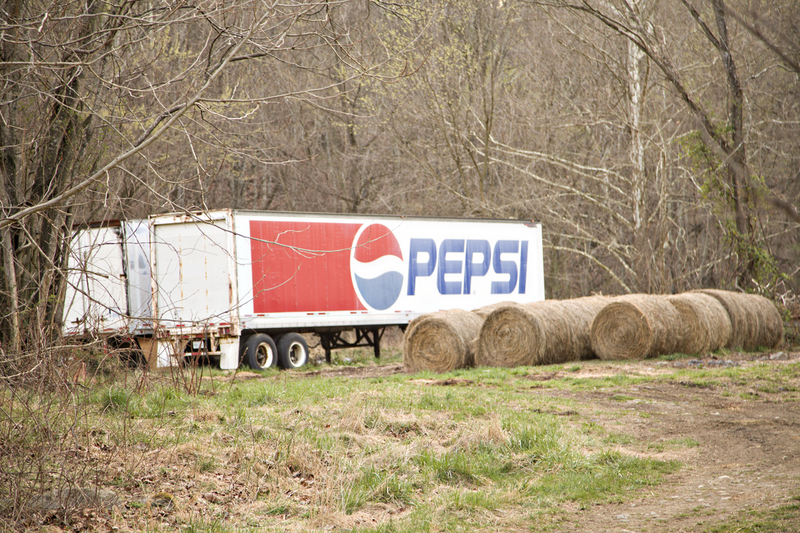 But when you’re miles and miles from civilization on a dirt road, deep in the Blue Ridge Mountains you do not expect to see tractor trailers anywhere–least of all a field. 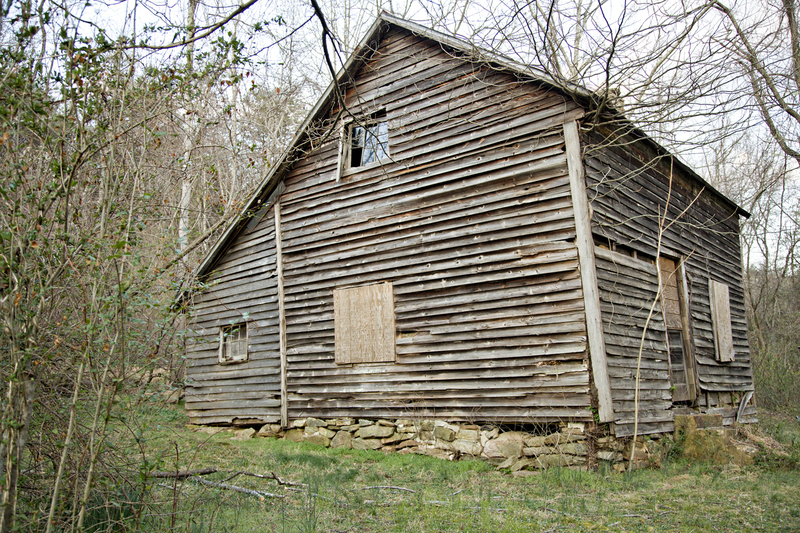 This cabin in “Shifflett Hollow” is the Mooney-Shifflett House and is more than 150 years old! Let me in, please!! I didn’t want to try to break in to this location, and there were new locks on all the doors. 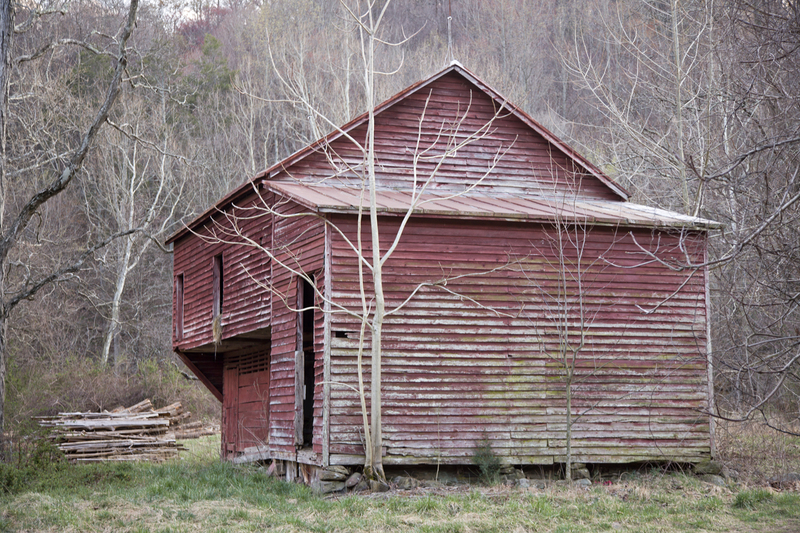 But I would love to see inside this old cabin. I tried to locate tax records to see if there was information about the structure–when was it built? How big is it inside? When was it last occupied? What was life like living so far in the mountains and inside this little cabin? I love this chimney, too! 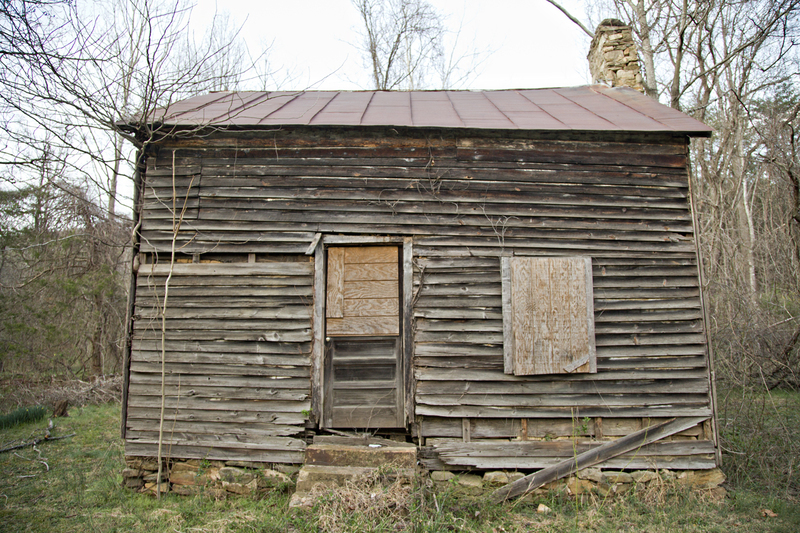 UPDATE July 2015: The person who owns this cabin found my post online and contacted me! I loved it. Finding out more about the history of the area just gives me a thrill (I’m weird I know). Here is some information for you all! 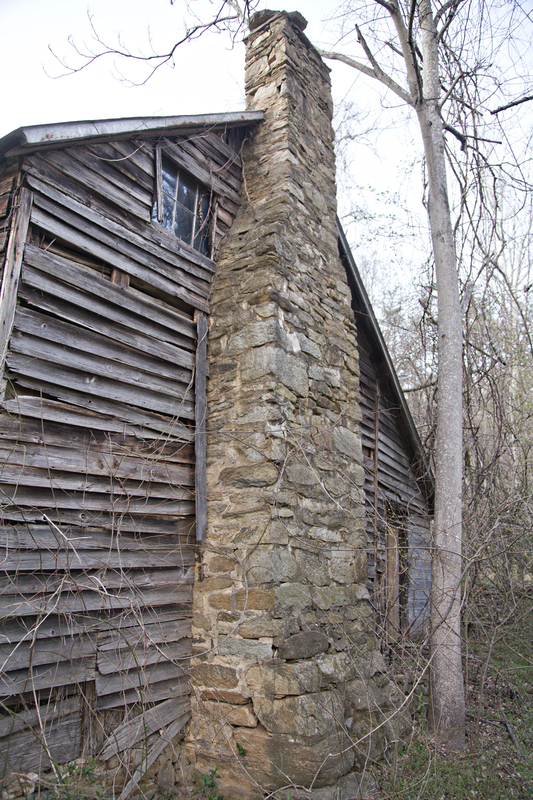 Want to know more about the Shifflett history and specifically that in Greene and Albemarle counties? Then, check out this site, too! I’m going to spend forever just searching through it myself! THANK YOU for reaching out, Bob!! It is beautiful up there, haven’t seen it in years. My parents and I bought a puppy at Faith Mission Home when I was 10 yrs old. He was a border collie and we gave him to my grandmother for Christmas. She loved him so much. I remember the trip very well!